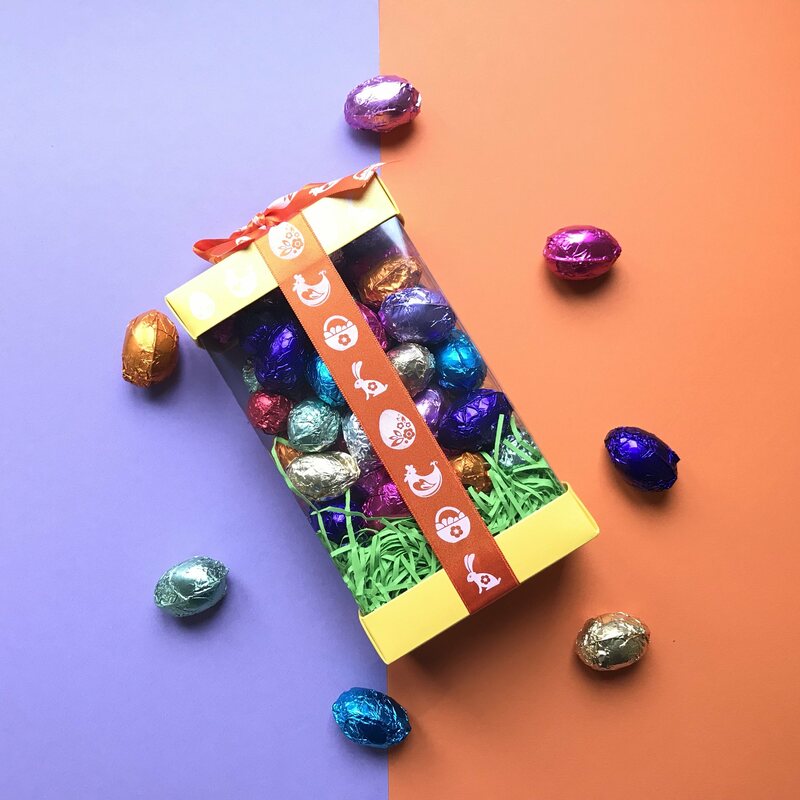 Dairy Free Alternative to Milk Chocolate Mini Easter Eggs. approx. 300g of chocolate! approx. 30 solid Milk Chocolate Mini Eggs indiviually wrapped in rainbow coloured foils. Cocoa butter, sugar, rice powder (rice syrup powder, rice starch, rice flour), cocoa mass, chicory root extract, emulisifier; sunflower lecithin.Contains Cocoa solids 47% minimum.Made in a kitchen that handles nuts.